I've been making these chocolate chip cookies for 25 years. During our engagement, I opened up a classic church cookbook to find a chocolate chip cookie recipe. While eating the cookies, my soon-to-be husband made comments like, "these need nuts" or "I love a soft cookie" etc. Then when the kiddos came along they made their own comments. 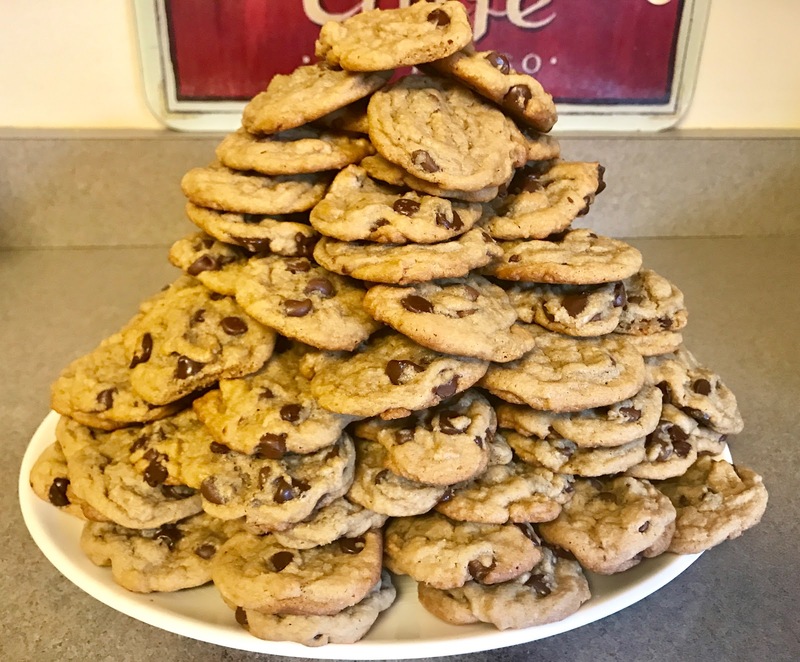 The main comment was that the cookies needed more chocolate chips. As time marched on this recipe evolved into one that became a perfect fit for our family. I no longer have a copy of the original recipe but below you will find our family favorite variation! 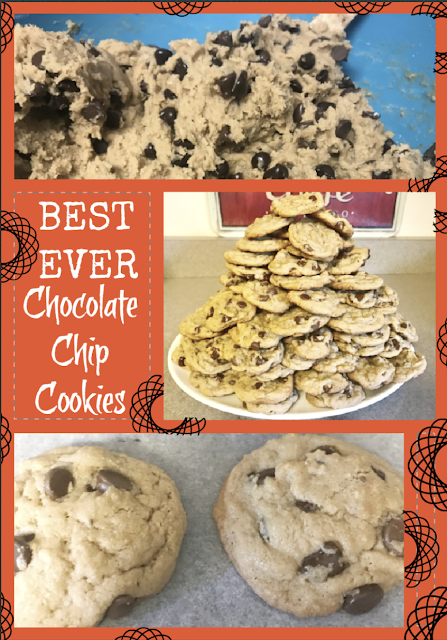 This recipe easily makes over 10 dozen chocolate chip cookies. You can get a lot less but not too much more that 10 dozen. The amount you get depends on the size of your cookies. I use a small cookie dough scoop which doesn't seem like a lot on the baking sheet but makes a perfect 2-3 bite cookie. 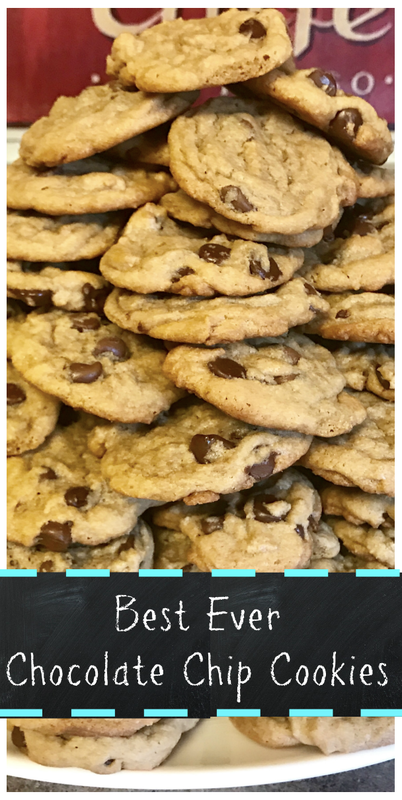 Whenever I bake these cookies, I plan on giving them away! The dough can easily be frozen, too. 1-Get a large bowl and a heavy wooden spoon. Preheat oven to 350 F.
2-Add in butter/Crisco and sugars. Cream together. 3-Add in eggs and vanilla. Stir together. 4-Add in flour, baking soda and salt. Mix until combined. 6-Use a small cookie scoop and scoop cookies onto a parchment lined baking sheet. For larger cookies use other size scoops. 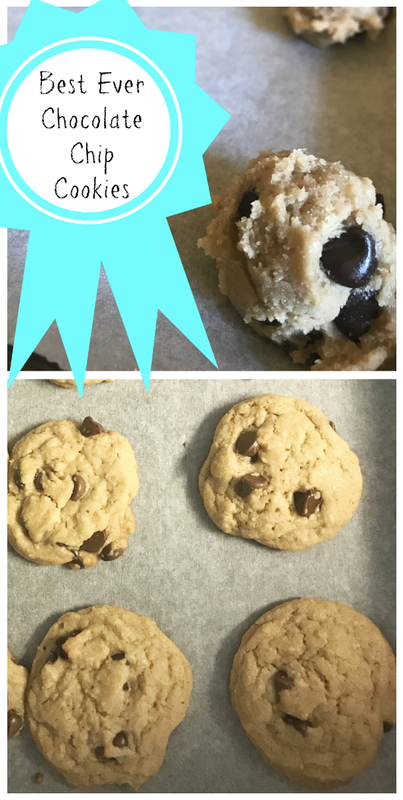 7-Bake for 10-12 minutes for soft cookies. Bake up to 12-14 minutes if you want a crunchier cookie. Make the recipe and turn it into your own family favorite recipe. Simple changes keeping the basic measurements will be the best way to make changes. Did you make them? Do you have any questions?